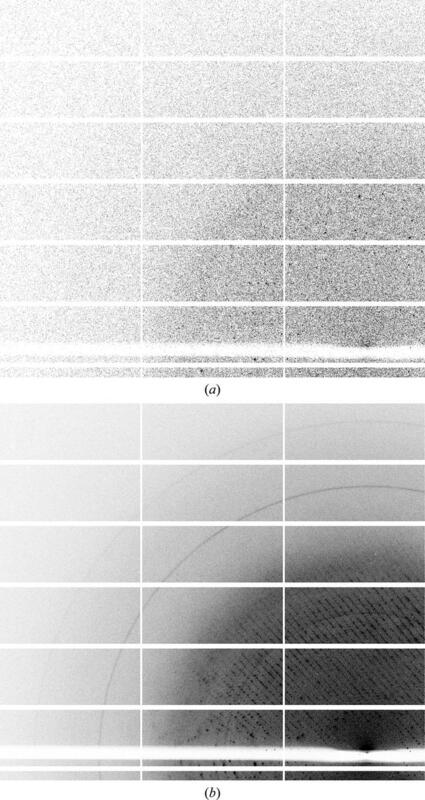 Ice-ring data on a pixel-detector image. Ice rings are not always visible on the detector, and this problem is aggravated by the usage of fast-readout pixel-array detectors, where the measurement rotation range is typically `sliced' very finely. (a) Single image with 0.15° rotation. (b) 100 images from the same data set summed: ice rings are visible.